Hurdlers competing at the last NSF, KADA 2009, in Kaduna. 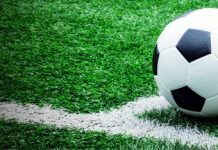 The Secretary of Youth Sports Federation of Nigeria (YSFON) Rivers State Chapter, Collins Wejinya has described YSFON as a viable nursery bed for future players in the country. 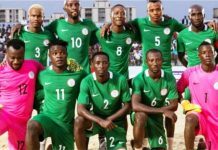 Wejinya, who made this known in a chat with Tidesports in Port Harcourt, said YSFON is the best place for the grooming of future players and so should be supported by government, individuals and corporate bodies. The YSFON secretary noted that it is youngsters within the age of eligibility for YSFON competitions that were usually used into militancy and other vices, adding that there is every need to discourage them, using football which every child plays. 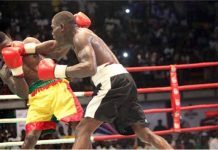 He expressed worry that even the local government areas were not sponsoring clubs from their areas for the on going under – 12 and under 13 YSFON championships. “I am disappointed that even the local government councils are not sponsoring their home clubs. 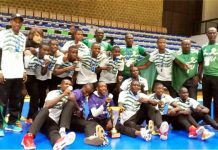 It is the little boys that are tasking themselves to register and transport themselves to match venues, since the commencement of the 14th edition of grassroots sports/human development programme,” he said. According to the competition fixture, Under – 13 has four groups which is made of 15 clubsides. So for, U-13 has played three matches at the group stage. Port Harcourt Future Stars defeated Diamond Sports 1-0, PH City Academy trounced Corinthiasns 6-0 while United Feeders won United Stars 1-0. In the Under – 12 category which has only 12 clubs in the four groups (A-D) four matches have been played with Eagle Stars, Bright Strikers, PH City Academy and PH Future Stars winning their counterparts MAC1 Soccer Initiative, United Feeders, Golden Stars and Diamond Sports 2-1, 3-0,2-0 and 5-2, respectively. Wejinya called on the government to support the competition so as to secure the future of Rivers football.